The Preparing for Rainy Days (未雨綢繆): Culturally-Inspired Smart Grid Education in 3 Communities project concept started in 2014 when members of the Chicago Sustainability Leaders Network (CSLN) responded to a funding opportunity through the Illinois Science and Energy Innovation Foundation (ISEIF). ISEIF is a foundation that provides grants for consumer education and seeks innovative approaches to engage energy consumers and better understand consumer motivation around energy. They strongly encourage collaborations and especially seek focused attention to the low-income, senior, and hard-to-reach populations that CSLN members often serve. The entire project was completed in 2015 and 2016. It was designed through an anthropological lens. Project partners were trusted community organizations that are viewed as local experts and educators in their community areas. Their clients are often designated as “hard-to-reach” populations by larger institutions such as the utility company. The partners each translated the more technical details about Smart Grid into language and messages relatable to the values of each target community. The Institute of Cultural Affairs (ICA) served as the project management team and, in 2016, provided the methods and training in imaginal education. The Chinese American Service League (CASL - Chinatown) and Centers for New Horizons (CNH - Bronzeville) were partners in 2015-2016. Two additional communities were involved in 2015 but not 2016: Sacred Keepers Sustainability Lab (SKSL - Bronzeville) and ICA (Uptown). In 2016, Neighborhood Housing Services (NHS - Chicago Lawn/Gage Park) joined the project as the third community area. UIC’s Office of Sustainability engaged student interns to assist the community partners in developing and implementing Smart Grid programs in their communities. The African-American Cultural Center also contributed its expertise in ethnographic methods, through trainings provided to the students and partners. UIC hired student interns to develop and conduct a fifth community project: a Smart Grid education and outreach program shadowing the facilities staff on the UIC campus. Additionally, CSLN member and sustainability consultant, Belinda Li (CiTTA Partnership), conducted a qualitative evaluation of their outreach efforts to analyze the results in comparative perspective, to each other and, more informally, to the other partners based on documentation and stories shared primarily at quarterly meetings. The final deliverable is a project toolkit, which can be found here with full appendices. The toolkit provides an overview of the Preparing for Rainy Days project, including details about the communities and partner organizations, methods to construct messaging to impact behavior, education tools developed by partners, evaluation methodology, and insights resulting from evaluation. 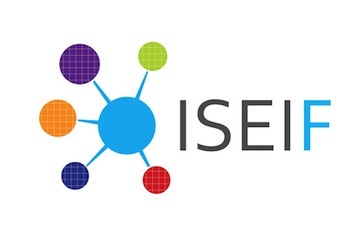 It is intended for use by other ISEIF grantees, community organizations working on energy education for similar communities and any individuals or organizations with an interest in creating culturally resonant messaging for their programs. This project is funded by the Illinois Science & Energy Innovation Foundation (ISEIF) which was created to inform and engage Illinois consumers in the transformation to a digital electric grid. ISEIF accomplishes this through funding innovative education, outreach, and research projects in correspondence with smart meter deployment timelines.